Founded in 1970 in Chicago, Living Blues magazine is America’s oldest and most respected blues magazine. It focuses largely on the living tradition of contemporary African American performers, leaving coverage of white blues artists to other forums. In addition to articles on well-known stars such as Howlin’ Wolf and Muddy Waters, Living Blues devotes attention to lesser-known blues artists from across the United States. The magazine is also known for publishing the Living Blues Directory (an annual industry guide to blues clubs, radio stations, societies, festivals, artists, and agents) and for its annual Living Blues Awards. In 1983 the University of Mississippi bought Living Blues, and the magazine’s home moved to Oxford, where it is published by the Center for the Study of Southern Culture. Jim O’Neal, Amy van Singel, and Bruce Iglauer founded the magazine and ran it while it was based in Chicago. The first issue featured Howlin’ Wolf on the cover and began the magazine’s practice of printing long articles, extensive reviews, and shorter news segments. The editors resisted the urge to define the blues on the grounds that “blues speaks for itself. We do not intend to explain, define, or confine the blues. We believe the blues to be a living tradition, and we hope to present some insights into this tradition.” In the introduction to The Voice of the Blues, a 2002 collection of the magazine’s “classic interviews,” O’Neal wrote, “The Living Blues approach was simply to get the artists to tell the stories of their lives and their careers, to trace the development of the music, and to tell us what they knew about other musicians.” That approach revealed history, social commentary, humor, and sometimes distrust among the blues community. 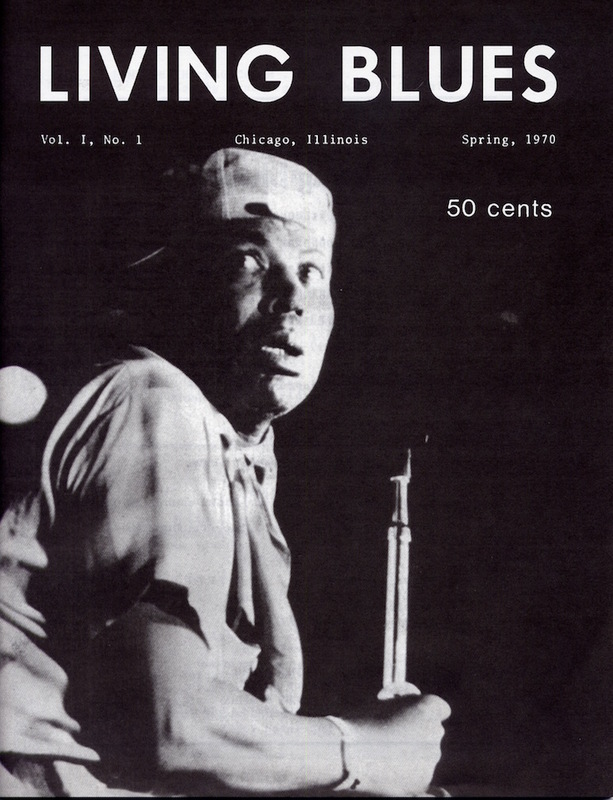 Living Blues became known for the length and depth of those interviews as well as for its photo essays, which document performers, clubs, festivals, and other blues events. When the magazine was founded, people interested in the music and its history had few resources, and Living Blues provided a way to preserve the history, document the present, and find a future for the music by opening it up to both new and old audiences. By featuring more established artists as well as newcomers and performers ignored by other blues sources, Living Blues has encouraged, extended, and made possible many blues careers and has showcased some of the best music journalism in the business. Its writers have included David Evans, Samuel Charters, Paul Garon, William Ferris, Barry Lee Pearson, John Brisbin, David Whiteis, Jim DeKoster, and Roger Wood, while its editors have included Peter Lee, David Nelson, Scott Baretta, and Brett Bonner.